The Patient Protection and Affordable Care Act (ACA) became law in March 2010. 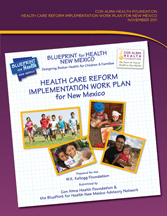 BluePrint for Health New Mexico is a multi-stakeholder, collaborative planning and design effort to develop a statewide plan to successfully implement the ACA with the long-term goal of improving the health of New Mexico’s children and families. The project was funded by the Kellogg Foundation. Successful implementation of the Patient Protection and Affordable Care Act (ACA) could directly improve the health of children and families. Establishment of a Health Insurance Exchange in 2014 could increase access to affordable, high quality health coverage for thousands of children and their parents who are currently uninsured. Expansion of Medicaid eligibility to include all adults up to 133% of the federal poverty level could provide many thousands of New Mexicans with the peace of mind that accompanies the knowledge that paying for critically needed health care services will not be weighed against the need to pay for food, gas, or housing. Emphasis on accountability for quality and effectiveness could result in a health care system that is responsive to the needs of children and families and promotes the elimination of the health disparities that plague them. 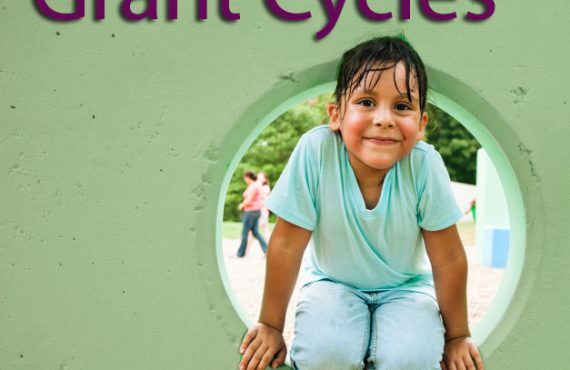 The new law provides many opportunities for communities to develop and implement health promotion, prevention, and wellness programs to improve the health of children and families in underserved communities across the state. 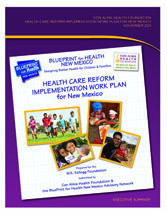 Special thanks to the members of the BluePrint for Health New Mexico Advisory Network and others who contributed their time and expertise to this process and report.